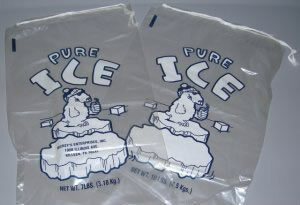 DM Packaging Ice Bags - We Just Lowered Our Prices! New low, competitive pricing. Call now or get a quote. New minimum custom ice bag order is 50 cases. 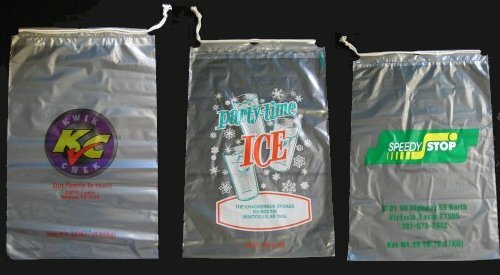 Ice Bags are printed up to 8 colors. Immediate delivery available on stock ice bags. We can design a program for any size operation. Initial delivery is 10 – 12 weeks after artwork approval. We hold all of our manufacturers to the highest quality manufacturing and printing standards. Whether you are a local multi-store chain or a distributor who moves product all over the country, we can customize a program that is right for you. Drawstring & Loose Stock Polar Bear Ice Bags 8, 10 and 20 Lb. Order your Polar Bear stock ice bags today. Order 25 or 50 cases, with best pricing occurring at the 50 case level. We can do small-run quantities all the way up to truckloads. Bags are printed up to 8 colors. Initial delivery is 10-12 weeks on printed ice bags, immediate delivery on stock ice bags. 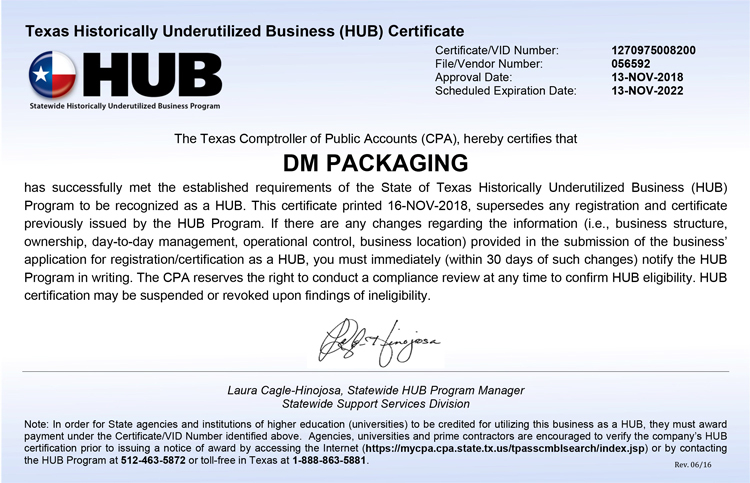 We ship directly to your business. Contact us online, or call us at 800-890-7056 for pricing and any other questions you may have. Note: For all orders over 25 cases, please contact a DM Packaging Representative by calling us Toll Free: (800) 890-7056. Think you do not move enough ice to have your own custom printed ice bag? Think again. We can do small-run quantities all the way up to truckloads. Bags are available printed up to 8 colors/1 side in either a drawstring bag or a flat bag with ties. DM Packaging also has stock ice bags available as well. These are available in several sizes as a drawstring bag or a flat bag with ties. Wickited ice bags available in 8, 10 and 20 lb sizes, custom or stock. Small-Run and Truckload Quantities Available. DM Packaging now offers high quality custom printing on wickited ice bags. Show off your message with realistic, magazine like printing quality. This wholesale collection of Ice Bags is available to purchase online or by phone in bulk quantities to customers in the Houston, Texas area and beyond. >>>Learn more: Please read our Important Notes section on buying bags online.